Most of the industrial processes include the conduction of fluids or energy transfer. This is possible thanks to the centrifugal pumps which are the most popular turbomachinery. The growth and improvement of the industrial processes have been always linked to the improvements in the pumping equipment. Centrifugal pumps constitute more than 85% of the world production of pumps, due to their capacity to handle high flows. These pumps are used for different applications including pressure boosting, wastewater, water supply, heating and cooling distribution and other industrial applications. Operating engineers in such facilities must have a good understanding of not only the process, but also the pumps. This knowledge comes in handy for troubleshooting failure or loss of performance in a system, for example the use of a technical measuring system. And it is also useful when recommending new pump installations. What is a centrifugal pump? In simple terms, a centrifugal pump is a machine that energizes a fluid to either rise to a higher height or flow. This pump belongs to the rotary machines class. This device has been time-tested enough, considering that the first one was designed in the late 1600s. However, much of its use was in the last century; positive displacement pumps were more popular before then. We can attribute most of this growth due to development of internal combustion engines, electric motors and steam turbines, needed to drive the centrifugal pumps. Why are these pumps so popular nowadays? Centrifugal pumps are used due to their best rate efficiency/cost compared with other type of pumps or devices used to transport fluids. Normally, a centrifugal pump comprises of a fluid-filled casing. This fluid can be anything, but in most cases water. A component within the casing (impeller) rotates at a fast speed thereby subjecting the fluid to centrifugal force. Because of this force, the fluid goes to the discharge opening. As the water is discharged, a vacuum is created leading to the formation of atmospheric pressure, which forces more fluid from the casing. Part of the reason this movement is flawless is because the blades on the impeller are curved. The idea of a centrifugal pump is to convert centrifugal force into kinetic energy. The rotation of the impeller gives the liquid at the tip a centrifugal force that is proportional to velocity at the vane tip. As the liquid comes out, it has kinetic energy. This kinetic energy further converts into pressure energy because of the resistances in the discharge nozzle and pump volute. The mechanical and hydraulic suitability of a centrifugal pump is very important for effectiveness and reliability of the system. Over-sizing or under-sizing a pump can lead to recurring problems throughout the system’s lifetime. Factors are for both mechanical and hydraulic characteristics of the pump. Mechanical considerations are pumping conditions, pump sealing and impeller geometry among others. Generally, you will have to trade off between practicality, efficiency and cost when it comes to geometry. Hydraulic considerations include duty point, flow rate, fluid characteristics and system resistance. You cannot afford to ignore suction conditions when designing or installing a centrifugal pump. An important concept in this area is Net Positive Suction Head (NPSH), this is the head required at the suction of the pump for particular working conditions to avoid cavitation problems. The NPSH required depends only on the manufacturer design of the pump: casing, impeller, nozzle… this data is given by manufacturer as a curve and the NPSH available depends on the suction condition of the pump: fluid pressure, temperature, fluid pressure vapor, suction head or suction lift… this data is calculated by the designer of the installation. There are two main parts in a centrifugal pump —stationary part and rotating part. The parts are as depicted in figure 2 below. The stationary parts are casing, nozzles and bearing housing. Rotating parts include impeller and shaft. Other than these major parts, the centrifugal pump also comes with auxiliary components that include systems for cooling, controls and lubrication among others. There are many design options when choosing the pump parts: monobloc or split casing, double suction, end suction, inline, closed or open impeller, horizontal or vertical construction, single stage or multiple stage…. The manufacturer has different products with different combination of parts to reach specific process requirements, e.g. open impeller for fluid with suspended solid. The flow rate refers to the volume of fluid passing through a pump’s per unit time. This parameter is determined by the process and the number of pumps to be installed. The static head refers to the difference in the elevation of highest point where you want to deliver the water and the elevation of the water source. As the name suggests, static head is constant i.e. it does not vary with the system discharge. To calculate the loss of head due to friction, you will need to consider all the elements present in the pipe system connected to the pump: pipe, fittings, heat exchangers, valves… with the resistance characteristics of these elements and the fluid characteristics the friction head is calculated. You get the total head by adding the static head and friction head. Centrifugal pump manufacturers have pumps for specific purposes. Pump curves are available as flow rate against pump head to help you choose an impeller. Use your calculated values from step 1 and step 4 to find a suitable pump through the pump curves. Choose the most efficient option between the possible pumps and check also that the NPSH required by the pump is less that the NPSH available in the installation to ensure that the liquid will not cause failure or cavitation in pump. Other aspects as size of impeller or position of duty point in the curve shall be considered. The centrifugal pump is a simple but essential device as we have seen above. With the many varieties of the pumps that are available, proper design is the most important requirement for any facility. Generally, ensuring there is no cavitation and maintaining a continuous flow is enough. Only proper design using the steps listed here can guarantee that the pump suits the set conditions. If you liked this post you may be interesting in heat pump. 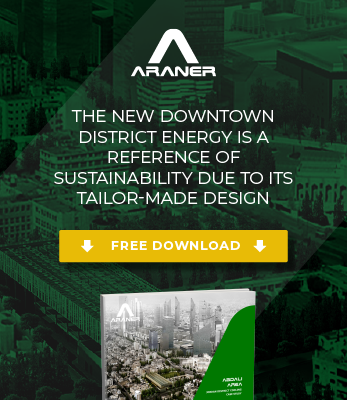 For more information on centrifugal pump design and applications, get in touch with ARANER specialists.